This box contains 1 piece RIEDEL Veritas Sauvignon Blanc. 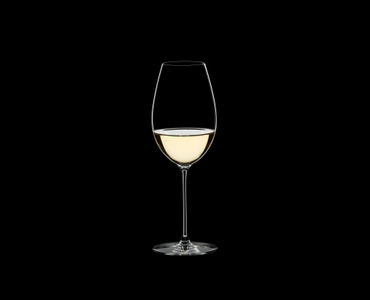 The unadorned machine-made Sauvignon Blanc glass of the light-weight glass collection RIEDEL Veritas distinguishes lighter, finer and being suitable for long term daily use at home. The shape of the glass shows the combination of fruit and acidity perfectly balanced on the palate, giving a harmonious taste experience. RIEDEL VERITAS combines the charm of a handmade glass with the consistent accuracy only a machine made glass can achieve. All RIEDEL glasses are dishwasher safe.